Mk55: very dark. 70% opacity. Coffee on the nose, perhaps café au lait. To taste medium weight; green humbugs; menthol and liquorice. In the second flight competition (Mk, Mz, Ni, N, O, S, T, and W) scoring 9 points, being ranked second by AP, NN, and CSD, and third by THRA, GEE, and RLC. A tricky customer. 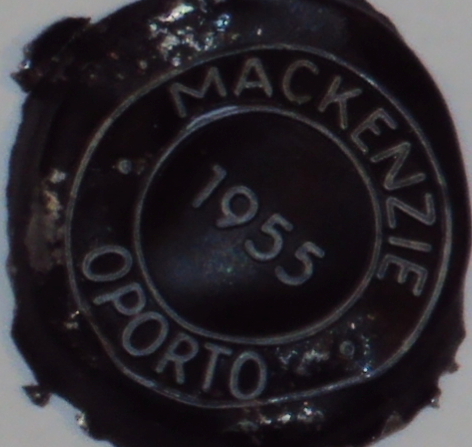 The capsule was clearly embossed with Mackenzie 1955, and the long genuine-looking cork was correctly branded, even specifying a 1957 bottling date. But this was never 55 years old. Had it really been deep-refrigerated for half a century? This could very easily have been a 1980 or an ’83. But ’55? No! But who would forge, expensively, branded corks and all, a Mackenzie 1955? The sale price of a Mk55 doesn’t justify the effort. What gives? If you, the reader, worked for Mackenzie Driscoll in the 1980s, your comment would be welcomed. [url=http://www.theportforum.com/viewtopic.php?f=4&t=4348&p=37991#p37991]Here[/url] DRT wrote: The debate about the Mackenzie was interesting. I am 100% in the camp that think that this was definitely not a 1955 port. There were some photos taken at the end of the evening that will hopefully be posted as they show this wine as very much the odd man out in the line-up. My tasting note from the evening says "1983". DRT wrote: I am 100% in the camp that think that this was definitely not a 1955 port. There were some photos taken at the end of the evening that will hopefully be posted as they show this wine as very much the odd man out in the line-up. Ok -- while I agree that the color was surprising/uncanny...if you were knowledgeable enough to forge a port that well, wouldn't you know not to waste your time with a Mackenzie? I would be shocked to learn that the bottle we had was an imposter. Far more likely that it was always just a bit of an odd duck, and that it then spent a large period of its life in very cold storage, no? 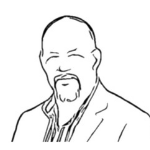 According to http://www.wine-searcher.com the cheapest retail price for Mk55 in the UK is £179 per bottle including tax and in the USA $279 per bottle excluding tax. That's a lot of money for someone to spend on a wine that isn't what the cork says it is. Something to bear in mind is that if this is a fake the crime was committed at least 20 or 30 years ago otherwise the cork would not have been as "aged" as it was. There is no point in trying to figure out why someone would commit the same crime today as that would be tainted by today's perception of the Mackenzie brand and its relatively low place in the food chain. That may not have been such a stark picture in the 1980s and could well have looked like an attractive proposition. Another factor to consider is that many crimes are committed because of oportunity rather than being well planned and thought out. Imagine the scenario where a young cellar assistant is being sacked for pilfering the odd bottle out of his employer's stocks. On his final day he blags a few handfulls of those old unused corks and capsules that have been left languishing in a cupboard in the bottling room for 20 or 30 years. With a small investment in some half-decent newly bottled VP he could soon have himself a nice little stash of fake VP to punt onto some unsuspecting customer or through an auction. Not a completely unbelievable scenario, is it? I can't buy into the "cold cellar" idea. If that was true/possible there would be many more examples of old VP retaining its raw youthfulness when more than half a century old. Given the number of bottles of old VP that have been consumed by the group that attended this tasting does anyone really believe that is why this wine from a producer with little or no reputation for making great VP could appear to be 20 to 30 or even 40 years younger than the date on the cork? For over two centuries port was sent to Newfoundland for "cold cellaring". I haven't seen or read anything to suggest that this practice had such a stark effect on the wine. Despite all of the talk about this bottle I do hope someone posts one of the late night pictures of the empty glasses as it really did demonstrate the problem more than any words of speculation could possibly do. Wow, can someone post some pics please? The two glasses that stand out the most are the Adam and the Mackenzie. Coincidentally, both are top left of their respective pages. What we actually need to see is the late night picture when all my glasses were empty and I had 15 that had a very small amount of golden coloured liquid in the bottom and one which was pink/red. I think Julian and one other person took pictures of this. Empties of the second flight. Nearest row: Sandeman, Taylor, Warre. [url=http://www.theportforum.com/viewtopic.php?p=38053#p38053]Here[/url] jdaw1 wrote: Flight 2 all poured. Another picture of the capsule, digitally whitened. DRT wrote: Something to bear in mind is that if this is a fake the crime was committed at least 20 or 30 years ago otherwise the cork would not have been as "aged" as it was. I'd go even further - the cork looks at least 30-40 years old to me. At which point one begins to wonder what Port was used for the fake that would still remain as dark as the Mackenzie today. Wouldn't one use something significantly less robust when forging a Mackenzie? I've had 1970s that weren't as dark as this Port, but to me the cork looks to be at least that old. My guess would be that the age is legit but that the contents were perhaps not 100% Port. We discussed the possibility of it having been bolstered by elderberries... I lack any knowledge of the aging properties of elderberry wine, but would that be possible? 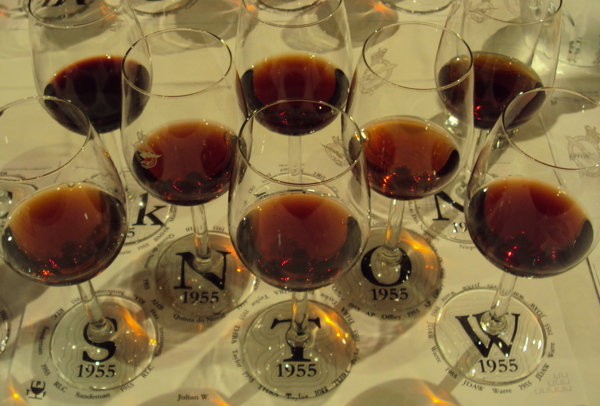 Glenn E. wrote: My guess would be that the age is legit but that the contents were perhaps not 100% Port. We discussed the possibility of it having been bolstered by elderberries... I lack any knowledge of the aging properties of elderberry wine, but would that be possible? I don't think so. Elderberries were used to darken young wines but there are lots of references in old books which suggest that this was a temporary effect that resulted in a heavier than normal crust with the wines losing their colour faster than those made properly. I have been reliably informed that port made with added elderberry juice turns brown with age. This wine was very dark and very red, neither of which seem to fit the profile of an elderberry adulterated port. The picture of the empty glasses is somewhat disappointing as it doesn't show the true co ntract of colour that we witnessed on the night. AHB: Deep red in colour, 80% opaque and standing out like a sore thumb from the rest of the ports in this tasting. Slightly hot on the nose, with a touch of antiseptic and full of sweet mulberries. Mildly bitter entry, then spicy and peppery. Big and thick in texture, lots of dark fruit and black Liquorice Allsorts. Very young, still noticeably tannic; a bit of a lack of balance; simple, dry and straightforward. Thick and sweet on the aftertaste; a dense finish, sweet but boring. Something’s not right with this wine. The cork looked genuine, but the bottle was markedly different from the other ’55 bottles and the wine was clearly much younger than the others at the tasting. Perhaps the bottle had been stored under near refrigeration? 82/100. Crazy dark color. This is 55 years old?! What?!?! Dry, and generally good in the mouth. Almost a table wine component. I actually liked this quite a bit, but was too distracted by the color to take detailed notes. 86 points. I realize I am in the minority here but since when has that mattered? Odd, I have had ex-cellars bottles of 1900 Taylor and several bottles of 1931 Noval (reg. bottling) and the Nacional too ... all are older ... and all were at least as youthful looking. I've had some 1945s too that were purplish-ruby and looked like 1980s. Remember the 1967 Nacional I opened in your presence in Boston? Purplish-black opaque and everyone said it was like tasting a 1985. I realize that is a big difference of 12 years (that was 3 years ago), but this was not something I found beyond the realms of possibility by any stretch. I realize I am probably the only naysayer, but I do believe that was a real 1955. I opened a 1977 Smith Woodhouse this summer for some serious Port geeks and everyone in the room thought it was either 1994 or 2000 from the appearance. 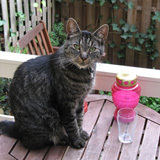 Roy Hersh wrote: I realize I am in the minority here but since when has that mattered? There is nothing wrong with being in a minority. I have been in a minority” , been ignored, and my being ignored has cost the UK taxpayer ten or eleven digits of money. However, this isn’t Nacional, and this isn’t even old Cockburn or Graham or Taylor. This is Mackenzie, a shipper so good that it went bust, allegedly doing something hugely better than the great houses who had a good vintage. Allegedly. Every once in awhile, a company may get "it" right. Mackenzie possibly did in 1955. And speaking of going bust, great Port houses like Graham's, Cockburn's, Sandeman and so many others have also run into financial difficulties requiring them to go out of business or sell their family company to the highest bidder. Agreed Mackenzie is an unknown ... but would that fact make collectors jump at 1955's from this producer, real OR fake? Not! Agreed, I was not present at the occasion, haven't seen the bottle, neither have I seen the colour, nor experienced the taste, but somehow I don't buy the idea of a fake. Main reason: WHY!? 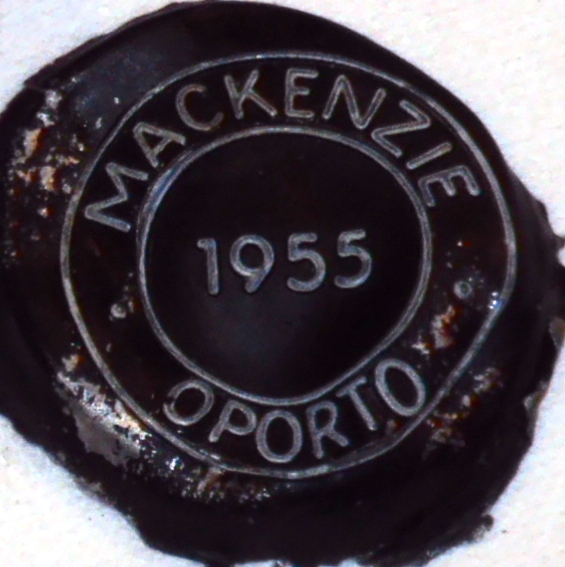 Why would someone go through all the hassle of faking a vintage port and make it into a Mackenzie? And also: if this fake was made some 20-30 years ago, it would likely show less colour than the others instead of more. Another option: for the production of this port the producer used a large amount of SousÃ£o, a grape variety that is known for its extracted colour, and tannins. Reading AHB's TN that would seem plausible. I have no experience with SousÃ£o with 55 years of age, but have tasted Quinta do CÃ´tto's Grande Escolha wines from the 80's. This (dry) wine has a large amount of SousÃ£o in it. The wines were pitch black, and incredibly young to taste, with lots of drying tannins. Especially the 1985 tasted like it was 15 years younger. We will probably never know, but this may just explain the different colour and characteristics of the port. I love the way that we can post such a wonderful debate based on virtually no facts. And that is not a criticism of what goes before this post, it is a genuine expression of the enjoyment I get from this kind of dialogue. Unless Julian and Derek discover the archives of Mackenzie through their vintage research, the sad fact is that we will probably never know why this wine stood out from the rest like a sore thumb. It was dark, much darker than the rest. Thy could be through good cellaring; or from a grape blend that was very different from the other shippers; or because it was a younger wine. We will probably never know - but I do hope I can try another bottle one day and see if gives the same impression. AHB wrote: I love the way that we can post such a wonderful debate based on virtually no facts. We state the facts we have, and ask what plausible hypotheses fit these facts. Alas there are several plausible hypotheses fitting the facts we have, and, tautologically, the facts we have do not distinguish between these hypotheses. AHB wrote: I do hope I can try another bottle one day and see if gives the same impression. Both Uncle Tom and I can help with that request potentially! I am also enjoying this debate. The only fact I think we can state is that this wine stood out as very different to every other 1955 of the night. It was not at all unpleasant - indeed I believe it got at least 1 second or third place vote for WOTN. I am looking forward to trying this again. As do I. If yes, then it would also be interesting to see if a 750ml bottle gives the same results as a magnum. Anyone have a magnum of 1955 Mackenzie? I had the Mackenzie tied with the Noval for 4th, right behind the Taylor. I thought it was excellent, and in light of its age it was rather astonishingly dark. The Sousao suggestion is a good one. If Mackenzie purchased from different growers for 1955, and those growers had a higher aggregate total of Sousao in their field blends than one would normally use, and/or 1955 was a particularly good year for Sousao, then that could easily be the explanation.